You've put the entire future of the nation on the line, for a nonsense 'deal' with Brussels to force the issue on some poxy little back-bench, internecine fight between the intolerant and slightly less intolerant little Englanders that lurk in the murky depths of your party; humourless, inhumane, selfish, pocket-lining privileged prigs, the lot of them. I've said it before, and I'll be saying it again...you are the most inadequate cockwomble of a Prime Minister we've had in a century. If it wasn't for the hopeless bias of the print-media (and most of the televisual media it has to be said), you'd not even be where you are, and you're there with a mandate from less than one in four of us...the citizens you've cast into the abyss of a referendum on whether or not we should remain a part of the European Union. Note that the UK is already outside the two groups with the most parity. Any changes you genuinely wanted to affect could have been tackled without a referendum, or the need for a referendum, but you have decided to put the whole ship on a roll of the dice...and I'm not sure you aren't secretly hoping for an 'out' vote anyway! 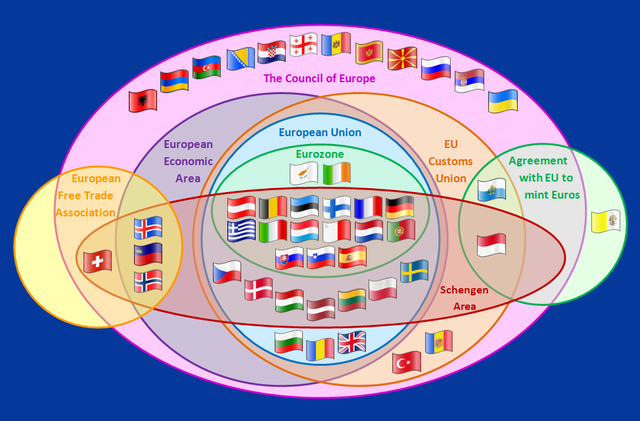 We are already outside the Schengen Area group, we have already chosen not to join the Euro-currency group, yet you pontificate as if these are things you've just achieved! You are misleading the people Prime Minister...why? The idea that the UK - in the 21st Century - can return to some Empire-building idyll of thrashing around Africa and Asia sticking it's flag in everything it likes the look of '...for Queen and Country!' is risible, yet it's what the 'out' campaigners from your own benches seem to be dreaming of? The only slaves left to exploit are the citizens of the UK, and while you've done everything you can to render them as such, since 1979, that path will end in bloodshed. Indeed the notion that the UK will even survive this vote is a very moot point. It's funny growing up as an expat really. Now that I have spend over half my life in New Zealand it's odd looking back to where I came from. Just the level of intolerance. NZ isn't a free love, everyone gets a long type of place, nowhere is. But just the level of intolerance to outsiders. It frightens me. Come to a colonial country and you'll see that British culture has basically destroyed those of many great and glorious people across the world. And yet people in Britain cry that their culture is being destroyed by immigrants, mostly from countries we screwed over at some point or another I should add, who just want a place to live. Their not stealing sovereignty, their not committing genocide their not the ones inciting ethnic hatred. Is it so bad that perhaps one of the most destructive nations on earth can become a welcoming home to those it has harmed. Unity in Europe may not be perfect but it's preferable to what came before. Anyway enough ranting... How do I subscribe to this blog? I don't usually do politics online (I'm out in the streets doing it mostly) but as I already follow your blog on miniatures I thought I'd follow this one too. Wise words James...it's the intolerance and insular nature of the 'Right' I hate the most, pull up the drawbridge and die slowly "Like gentlemen...what what!!" I don't know how to subscribe? Just 'follow' from you blog I think, but Vodafone have put a two-week hiatus on this blog anyway (been to the shop twice in two days "Our devices can't deal with these old accounts"!! )...still; I've got plenty of time to get going before the vote! Ah ha I found a way to subscribe. Copying the blog's url and then going onto the blogger dashboard and hitting "add" under the reading list and pasting it there. I will follow this issue well as I don't have NZ citizenship yet. Although the more the UK becomes associated with intolerance the more I want to get it finally. And this is from someone who has an extreme dislike for the concept of nationalism. I'm desperately hoping two Scottish great-grandmothers will count for something..otherwise I'll be thowing myself at Berlin's mercy! Spoonface wants an Out result. The warning of that is in the "let´s get rid of the european Courts affecting our decisions" The load of Cobblers about Ecomomic migrants wanting to come to the Uk for the generous unemployment benefits is just that, Cobblers. If they are sooo generous how does that explain the homlessness and malnutrition amongst the Population? The only media actually making anything of the pitifull pack of lies and halftruths being spun onto the UK popultion is based in the UK, the media here either ignores or just laughs at Spoonface. Leave, especially the european court of human rights and that Country will end up making francos spain look like a Holiday Resort. You're right Paul...I listened to an 'outer' last night claiming it would enhance democracy...when everything being done here at the moment is anti-democratic!...Boundry changes, forced settlement on Junior doctors, anti-union legislation, small-party funding changes...Still..one should always look on the bright side and being the 51st State of Trump's disunion could be a wild ride!